World class physicists traveled from all corners of our nation and Japan to cultivate creativity, share ideas, and celebrate the various accomplishments made in the nuclear physics community. 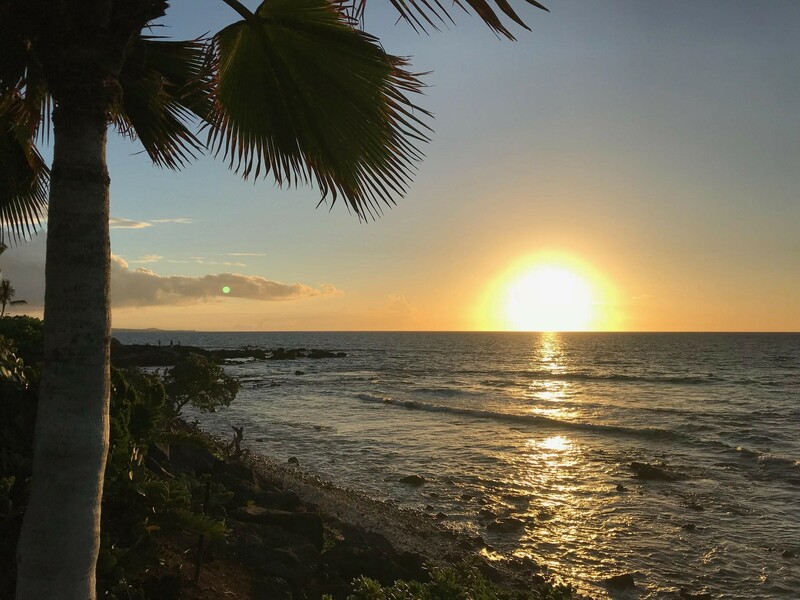 The 5th Joint Meeting of the American Physical Society(APS) Division of Nuclear Physics(DNP) and the Physical Society of Japan took place in Waikoloa, Hawaii from October 23rd to October 27th. Duquesne physics majors Connor Pecar, Elise Aaron, and I are all members of Dr. Benmokhtar ‘s particle physics research team.We each conducted research on the Thomas Jefferson National Accelerator Facility, and had the honor of being accepted to the Conference Experience for Undergraduate (CEU) to present our research. Most of the day was filled with talks similar to TedTalks, but less accessible to the public. Many different researchers want to share what they have been doing. Each parallel talk is normally about fifteen minutes. There are other talks going on simultaneously on other topics. Pick which one you go to wisely. The talks can be very specific to each subfield and the speaker assumes t hat you know a lot. The goal is not to understand every single subject in every single presentation. The goal is to get general understandings of the projects as a whole, be inspired by the bright future of your field, and identify what is most interesting to you. If you find yourself drawn to talks about certain topics, reach out to the researcher. They are usually very nice and would love to talk to you. This was my first national conference and although I felt prepared to discuss my research, I was also a little nervous. I hope my notes will serve as a nice reference of what to expect for conferences. I had a wonderful time at the APS DNP conference. I learned a lot, and I left truly inspired by the future of nuclear physics and my role in it. The nuclear physics community welcomed my peers and I with open arms. It was like a big family reunion. It was most likely more for physicists who have been practicing for a long time and made friends through work. A lot of people were speaking Japanese too. There were two speakers from American universities and two were from Japanese Universities. I enjoyed the talk Dr. Wilkerson gave about the importance of neutrinos to physics beyond the standard model. If the conference offers you a mentor, say yes. My mentor’s name is Adi. Your mentor is an excellent resource. Adi helped me make connections with researchers at the graduate school session, and helped me choose which parallel sessions to attend. I enjoyed the presentation Saul Beceiro Novo made about active target techniques and computational physics. Michelle Perry Kuchera’s presentation on machine learning and proton scattering event simulations was also incredible. I knew what information I wanted before attending this session and took time to look at the brochures. This was a nice strategy because it allowed me to obtain relevant information for the future. I wanted to know who had undergraduate summer research programs and research that overlapped with nuclear medicine. I also recognized a researcher by name from a research paper I’m on and made close connections that way. Dr. Sherrill, the director of National Superconducting Cyclotron Laboratory at Michigan State University gave a presentation on the history of element discovery, the quantity of kinds of atoms in nature, as well as Michigan State’s new rare isotope beam, projected to be operational in 2021. Presenting my research was such a great privilege. I expected to be very intimidated by researchers asking me a million questions, but it was not like that at all. Do not be afraid to respond to a question with “I’m not sure.” Generally speaking, the researchers at the conference were very impressed with all the students from the CEU. If you are planning to present a poster make sure to have plenty of water and get your photo taken! I would like to give a special thanks to the coordinators of the APS DNP Conference, the CEU coordinator Dr. Shelly Lesher, and of course my miraculous advisor Dr. Benmokhtar. My name is Courtney Boyd and I am a sophomore Physics major. I am from Chesapeake, Virginia. After graduation I want to pursue my doctoral degree in Medical Physics or Nuclear Physics.